Walker Lake Interpretive Association is a non-profit tax exempt organization of people with a common objective: to research and share information about Walker Lake. 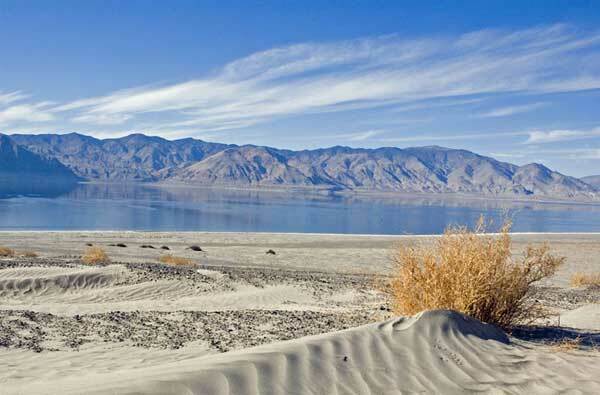 Our long term goal is to establish an Virtual Interpretive Visitor's Center for Walker Lake. Walker Lake Interpretive Association Board of Directors consists of volunteers who hope to make the public more aware of the rich resources and history of the Lake through the interpretive website. 100 species of birds were counted within 15 miles of the center of the lake during the 1996 Christmas Bird Count, done by the National Audubon Society. Walker Lake was named for Joseph Reddeford Walker who passed its shores in 1834, this is one of Nevada's few, large natural lakes. Walker Lake Interpretive Association is a Non-Profit Organization Incorporated in the State of Nevada. WLIA is a registered 501 C3 non-profit organization with the United States Internal Revenue Service.